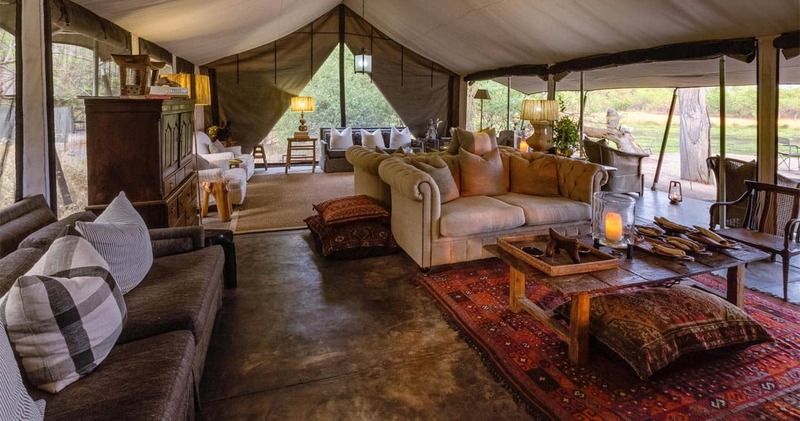 Constructed in a classic 1950s style, the ten luxury safari tents are ground- anchored and linked by meandering pathways. There are two family tents that accommodate two children under 12 years. The tents are elegantly decorated with ample, modern furnishings. 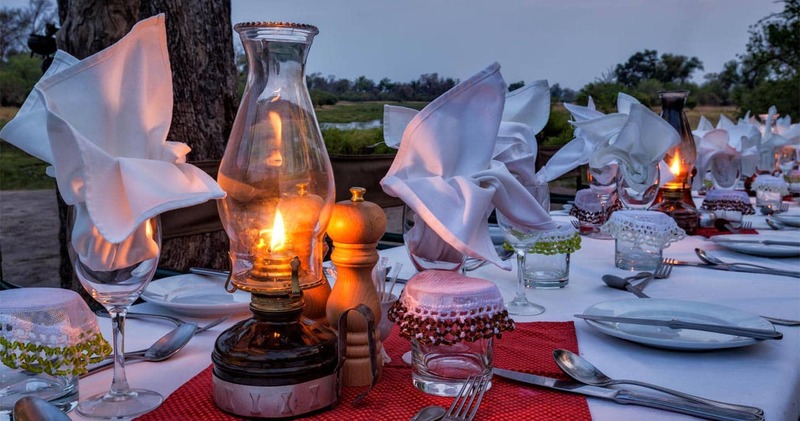 Discreetly dispersed through the bushveld and shaded by giant trees, the tents offer double or twin accommodations, en-suite bathrooms including an outdoor shower, fans and a small living area leading out to a shaded verandah with views of the river. Electricity is available in the tents and additional charging facilities are provided. The lounge area is a place where you want to settle down with luxurious chesterfields, books and a commanding position over the river. Bring rumbling tummies to the dining area: this is where the best, extensive buffets – European style - are served, eaten together at one warm, friendly table. Take in the picturesque views, or enjoy dinner in the sandy bush clearing with fireside space and river views. 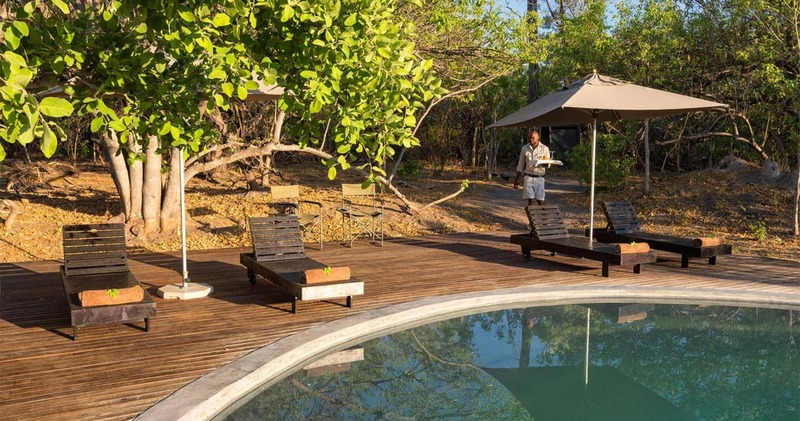 Offering a retreat from the hot sun, the camp also boasts a swimming pool with loungers for those times when you just want to relax. Let yourself unwind as you gaze over the pool while elephants take a splash in the Khwai River. You likely won’t see this in your own backyard! The concession for Machaba is smaller than most, but the game is incredibly dense. 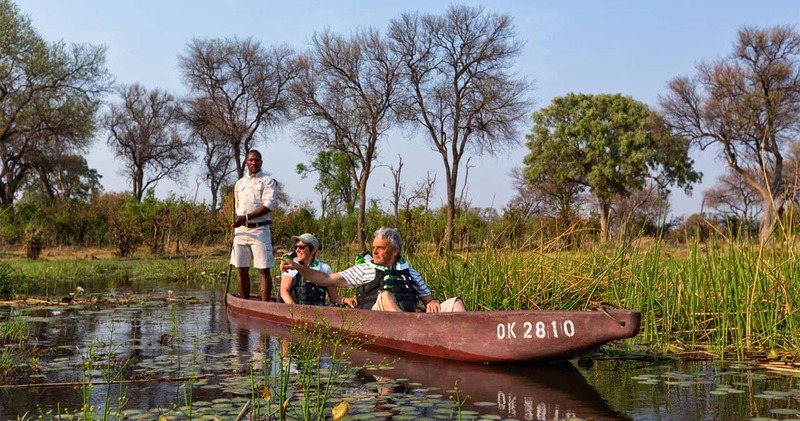 For the real Okavango Delta experience, hop in a mokoro; this dug out canoe is manned by an experienced poler in the shallower waters of the Okavango. The polers know every bend of the Khwai River, and will tell you all about the surroundings while you silently glide through the waterways. Tranquil and quiet, this trip is a great moment to recline and watch the world pass by. All the mokoro excursions take place in the morning, and even longer day trips can be arranged. Game drives are conducted in the mornings and evenings, and for a full three hours, your guide and tracker will seek out the best wildlife viewings for you. The wildlife in this region is prolific and chances are good to see some of the larger predators, herds of elephant and buffalo and all the plains animals that typically inhabit the area. Night drives are also allowed in this concession: offering you a chance to spot smaller, nocturnal animals, staring with big bright eyes into the spotlights. Ready for a true leisure activity? Guided walks are the perfect way to start another safari day. On a slow pace, smaller flora and fauna is discovered – things you normally miss during a drive. After an exhilarating day, nestle yourself and start anticipating what the river stream will bring tomorrow. Spent 3 nights at Machaba camp. Had some lovely wildlife encounters which included observing a lion kill, a hyaena den with a small cub, a leopard, a group of red billed oxpeckers preening an impala in beautiful light not to mention the elephants and hippos. Great view of many birds of prey, a Pell's fishing own and a grey collared Kingfisher. The camp was very comfortable and the staff were very professional, friendly and welcoming. I feel so lucky to have experienced such a wonderful place. Machaba Camp is the proud winner of the Best New Safari Property Award 2016 by the Safari awards. Read all about travelling to Machaba Camp on our getting to Moremi page. 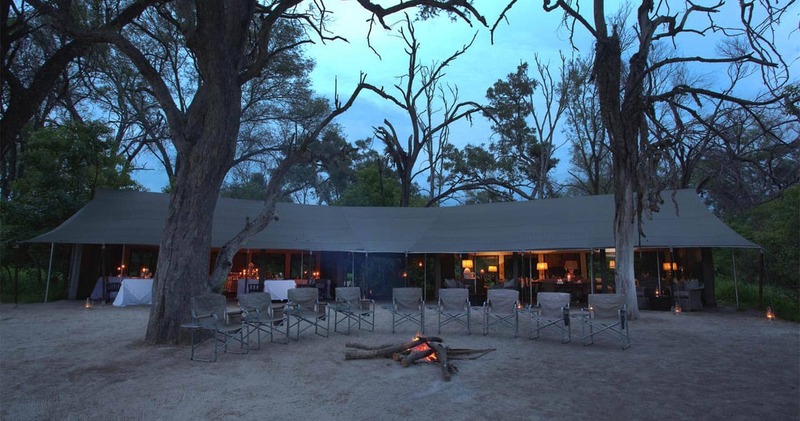 Machaba Camp is best accessed through Maun Airport. 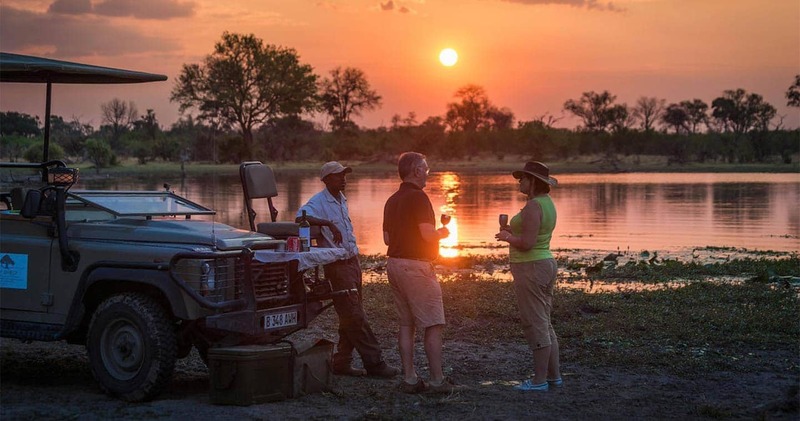 We hope you have found all information needed to decide that Machaba Camp in Moremi Game Reserve is the perfect place for your next travel adventure. Please fill in the contact form and we will get back to you soon!